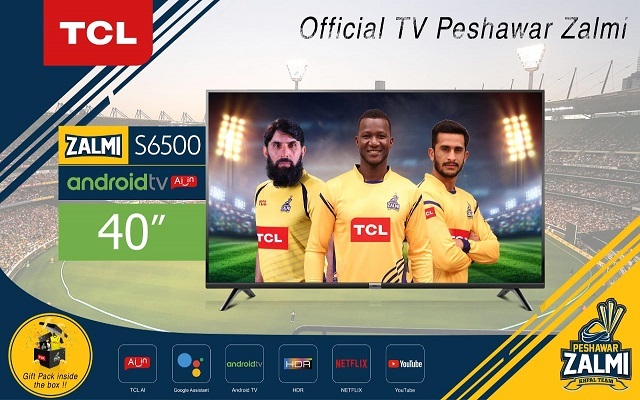 TCL, one of the world’s best three TV brands, has launched a special edition Zalmi TV to coincide with their sponsorship of Peshawar Zalmi for the upcoming 2019 season of HBL Pakistan Super League (PSL). TCL is one of leading players in the Global Consumer Electronics industry with a global presence in over 150 countries. TCL has emerged as one of the Best 3 Leading LED TV Brands in Pakistan in 2017 with a particular focus in High End 4K UHD and Big Size TVs, in which it has a significant market share.